Yep, it's more trucks from the 80s, 90s and 00s again. This Scammell S26 of Freightways Express parked outside Copthorne Solway Park Motor Inn in Masterton has a fairly plain paint job, but lots of extras: chrome vertical exhaust stack, aluminium wheels and tanks, chrome bumper and front panel over grille and air-horns on top of cab. I'm not sure what the unusually shaped objects on the B-train are. 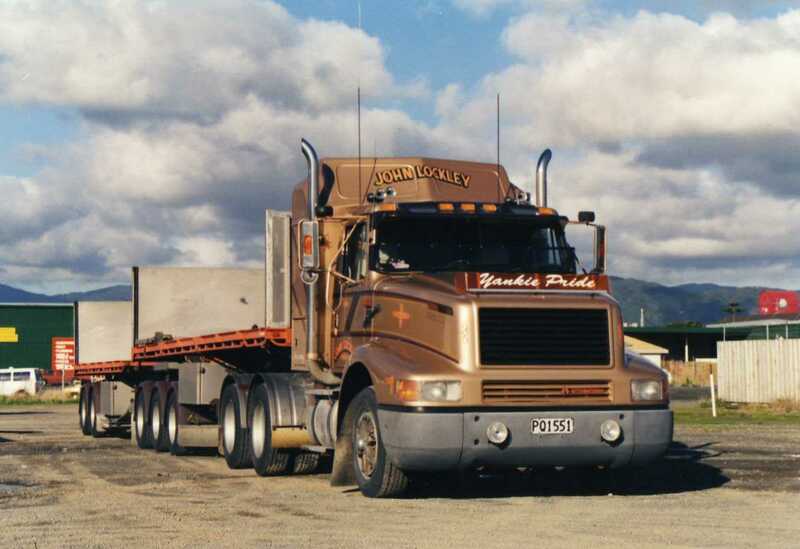 Schdroski Transport displayed this MAN at a truck show at Hutt Park in the Wellington area. "Deputy Dog" was a 1987 Mack Super-Liner R722RS of Clive Taylor Transport, again this is at Hutt Park..
Hutt Park again for this Scania R142M of Retko Haulage. 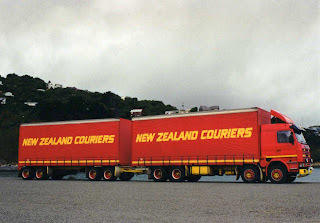 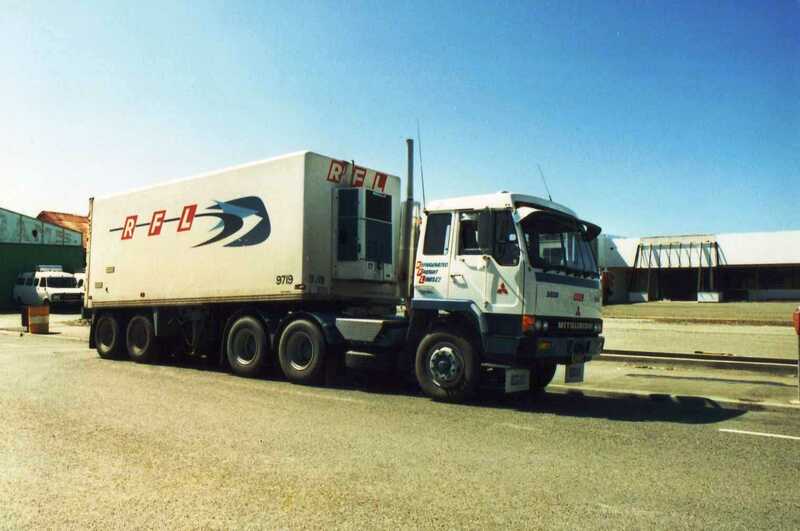 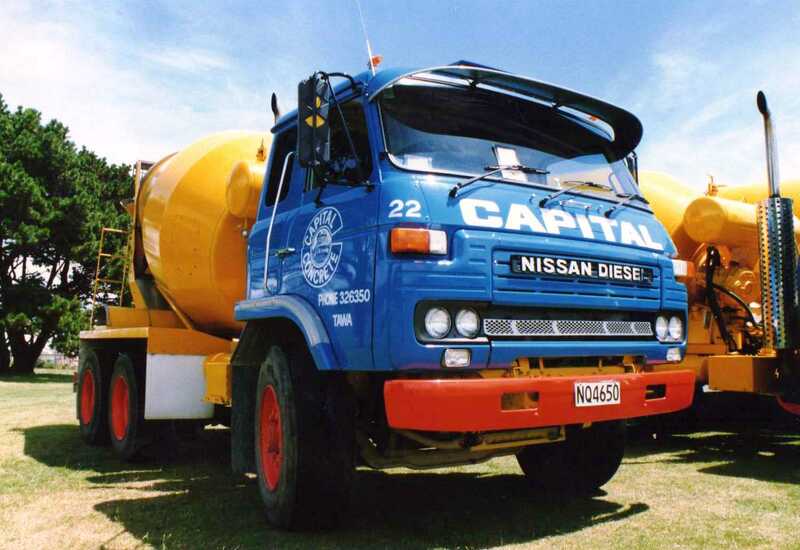 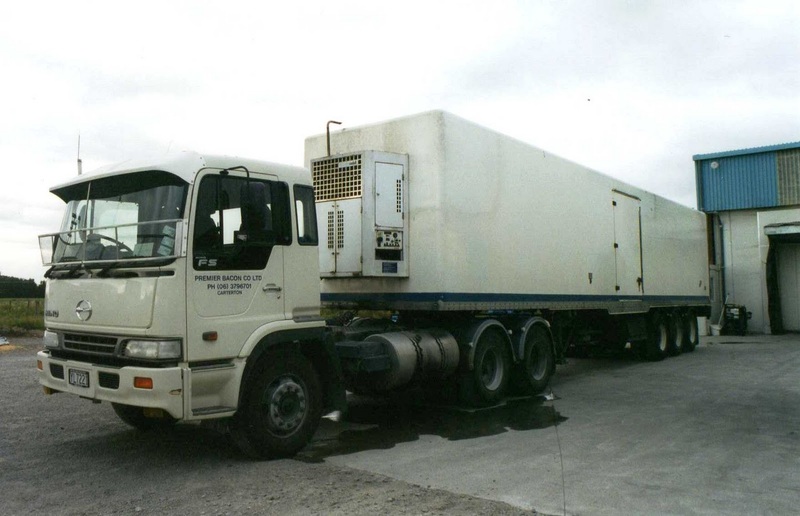 A 1988 Nissan Concrete Special was a model developed by the NZ Nissan importers for the concrete business. Seen here in Capital Concrete livery. MacAuley's Transport yard in Masterton is the setting for this 1994 Peterbilt 362 of Equipment and Transport Leasing. 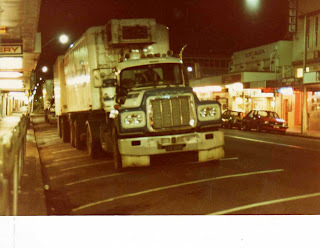 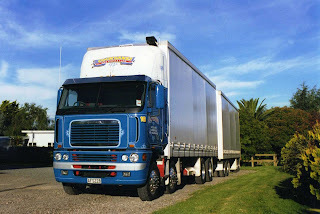 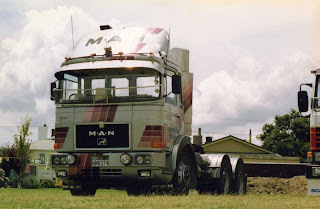 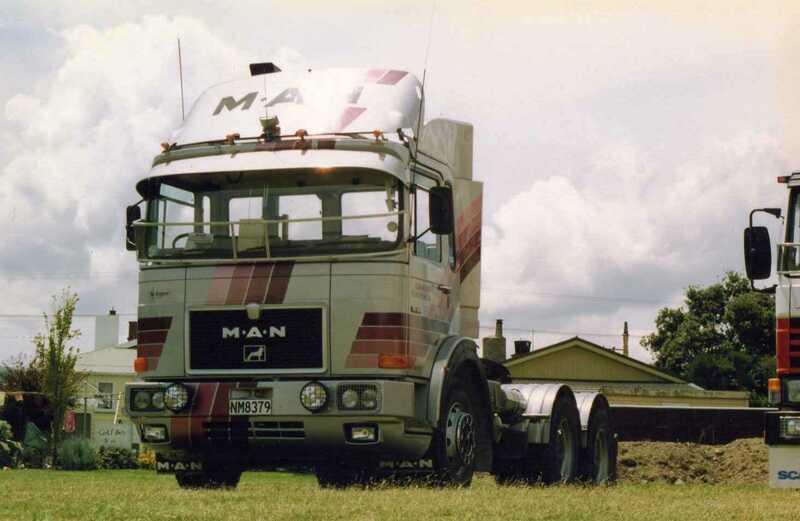 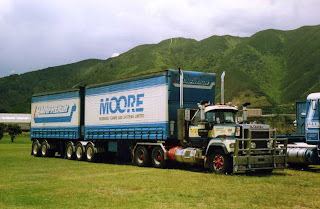 A Cochrane's Transport Freightliner Argosy is about to spend the night at Masterton Motor Lodge. 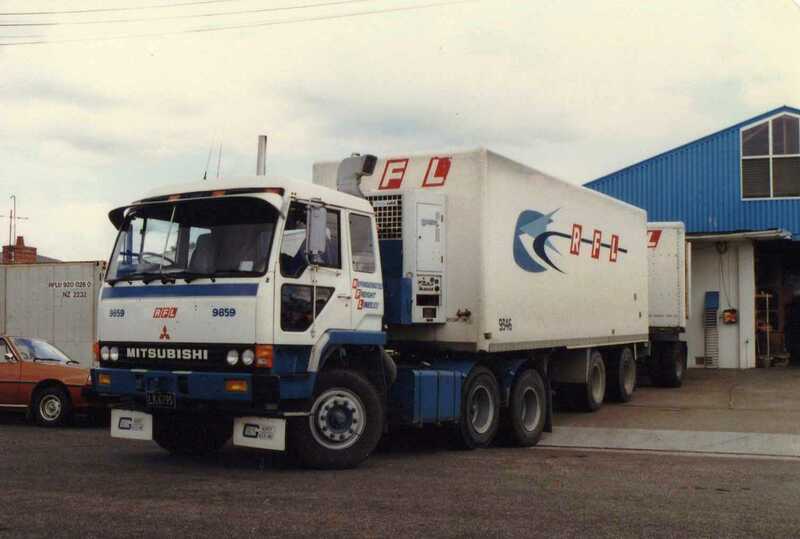 Before Premier Bacon operated their stunningly liveried Hino 700, they owned this 1999 Hino FS with minimal sign-writing. 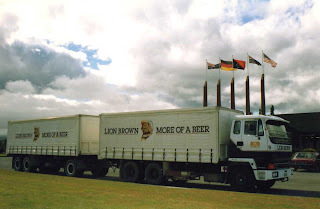 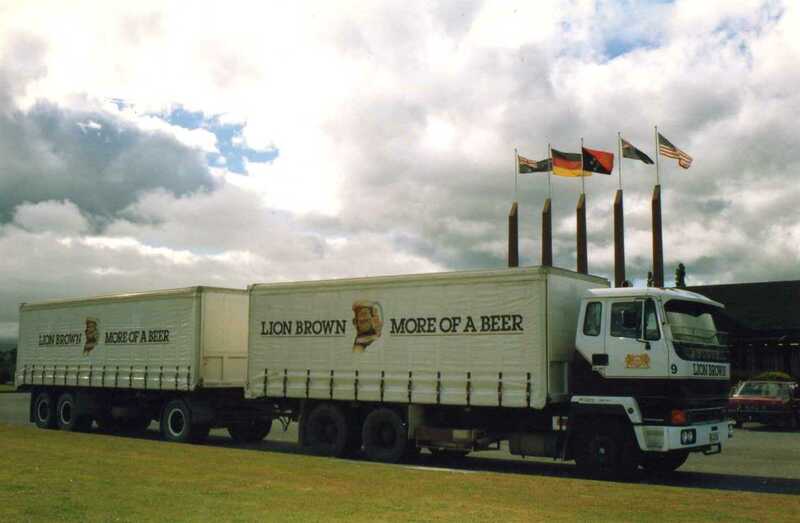 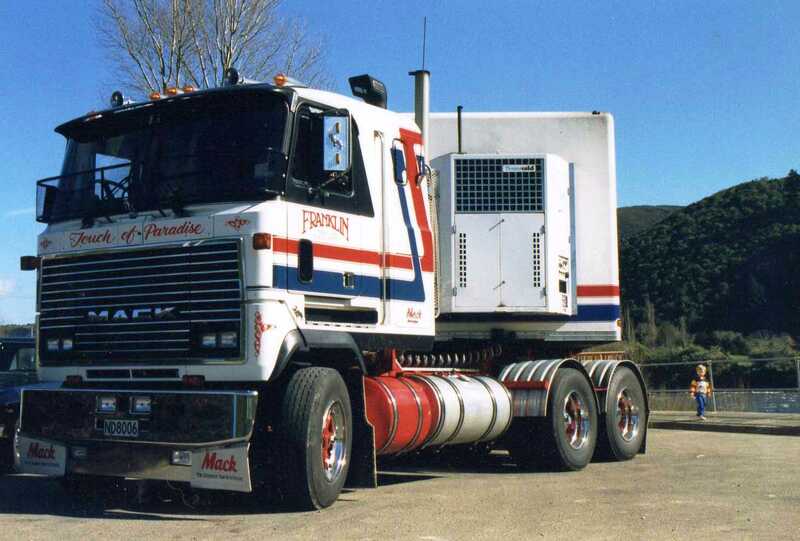 NZ's Mack importers. 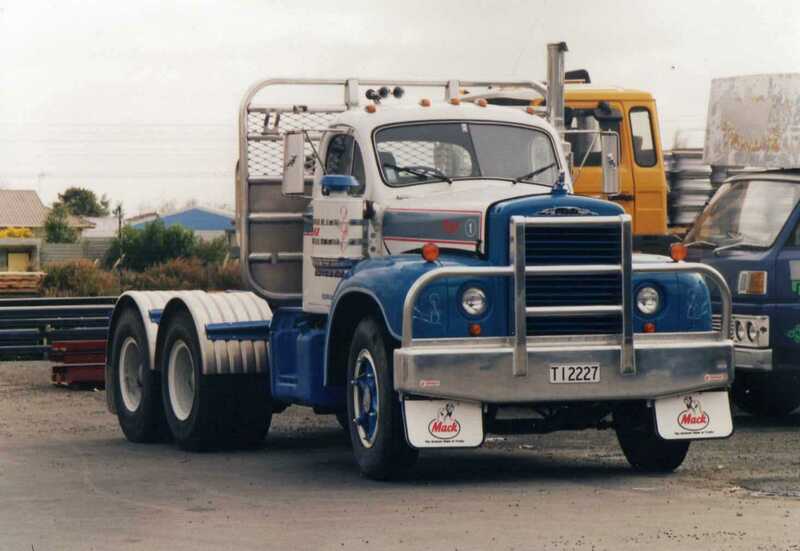 Motor Truck Distributors completely restored this 1960 Mack B615RS as a promotional exercise. 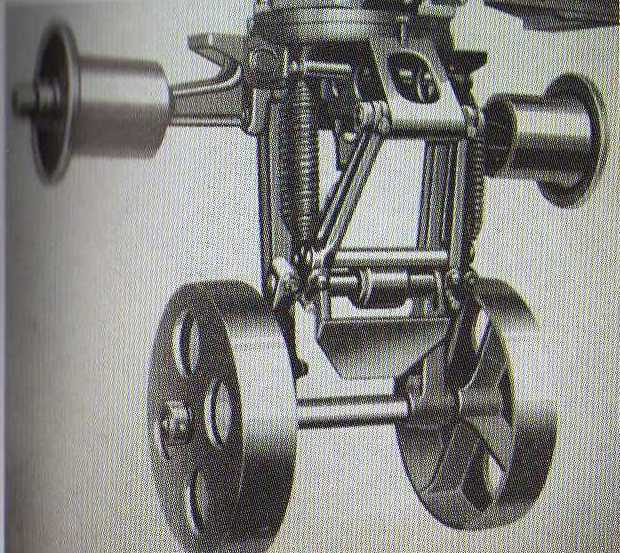 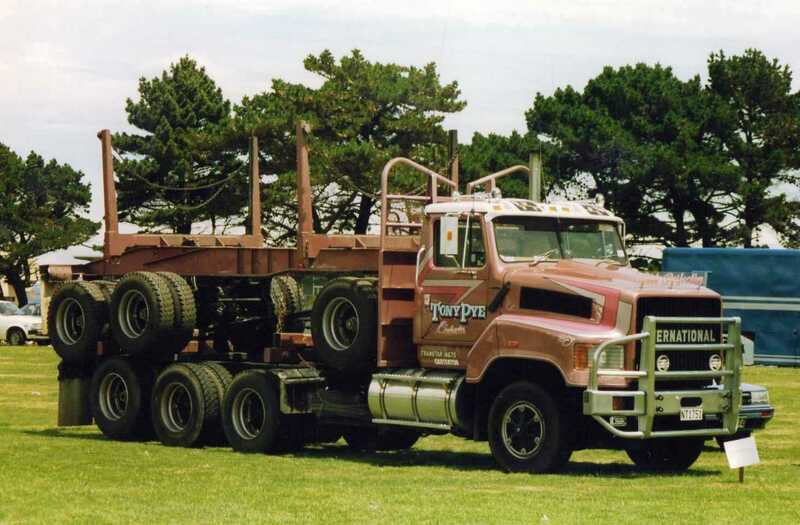 John Lockley operates many unusual American rigs. 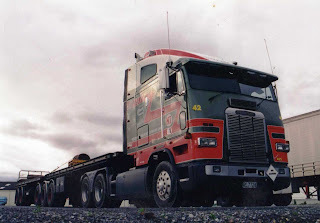 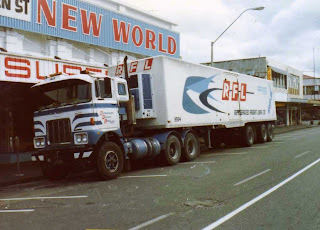 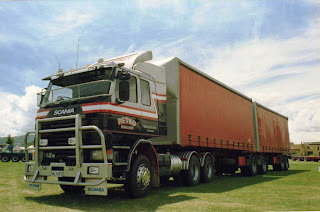 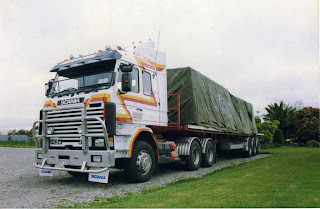 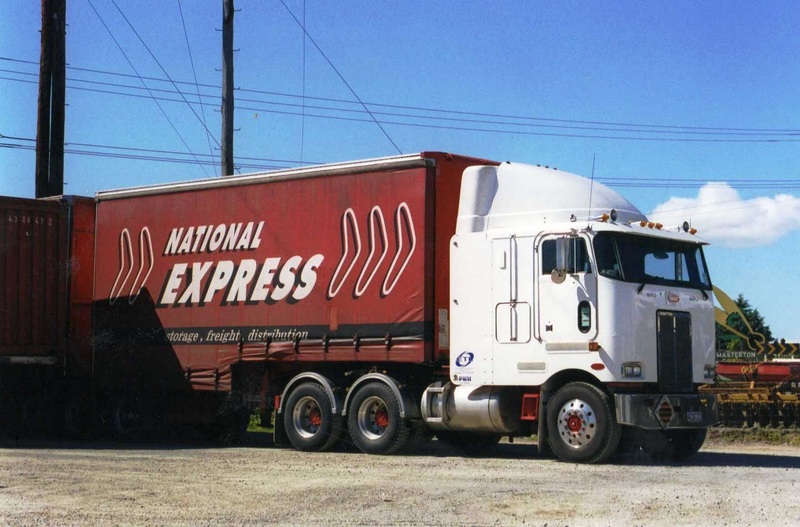 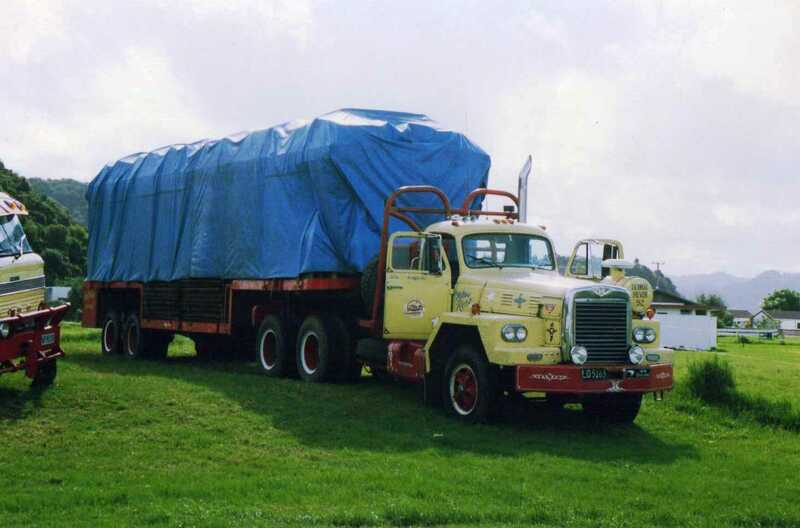 Here is his 1991 International Navistar 8200 at Petone. 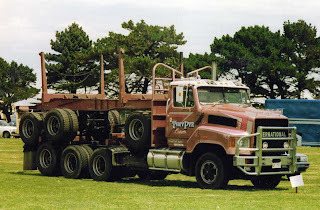 A 1992 FLA Freightliner of Kevey's Transport, with just the sheets lashed to its B-train's decks, rests at Seaview. 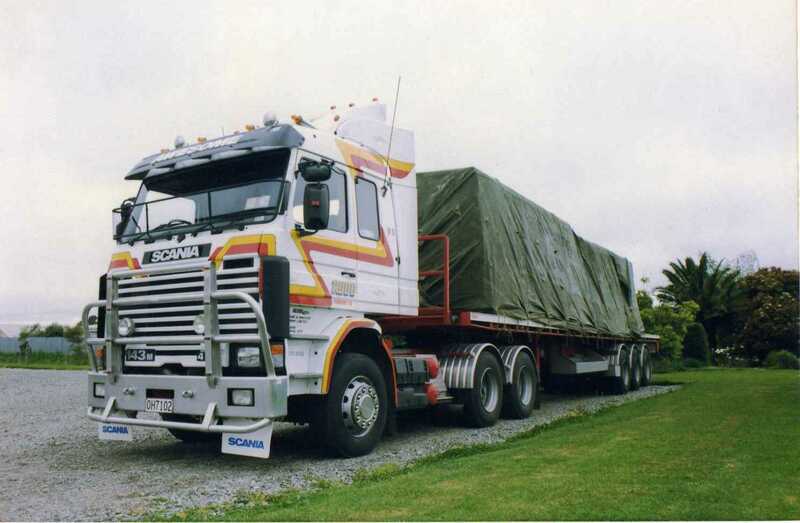 Also at Seaview is this Scania and trailer of New Zealand Couriers. 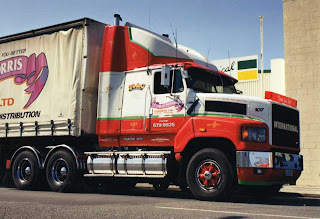 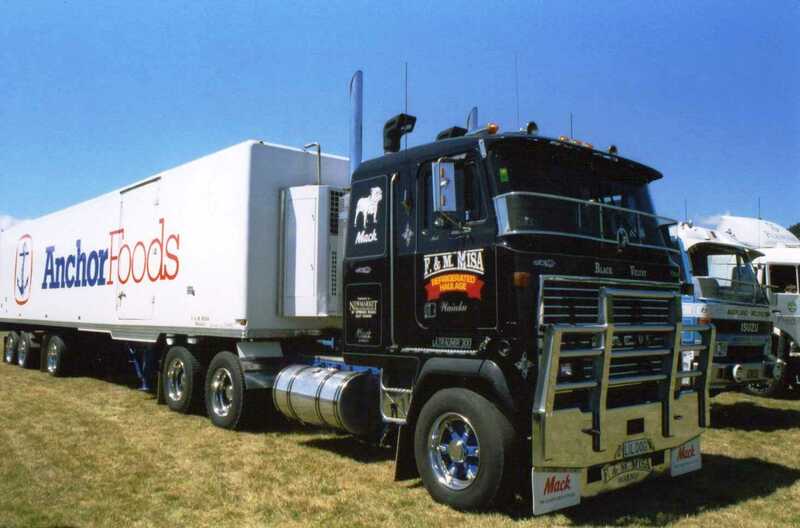 The Brett Morris International Transtar 4670 was quite an impressive rig when it hit the road in 1991. 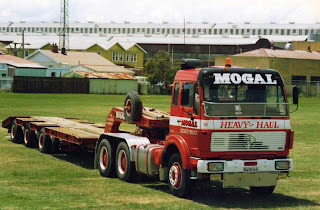 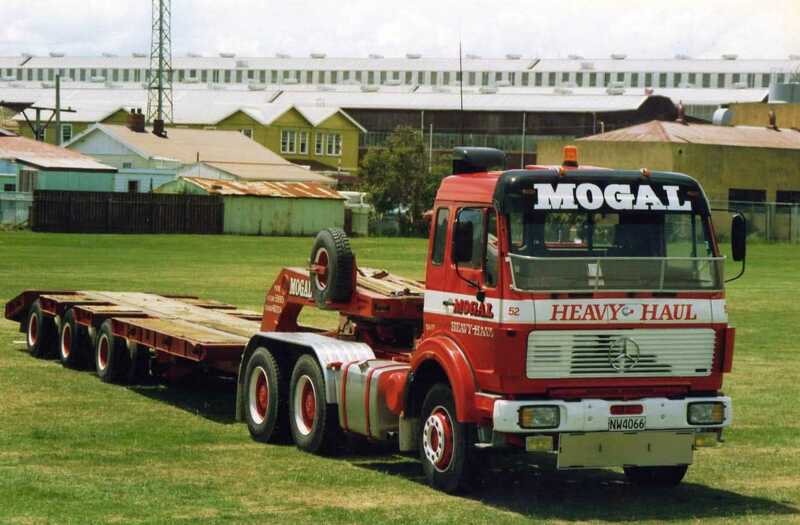 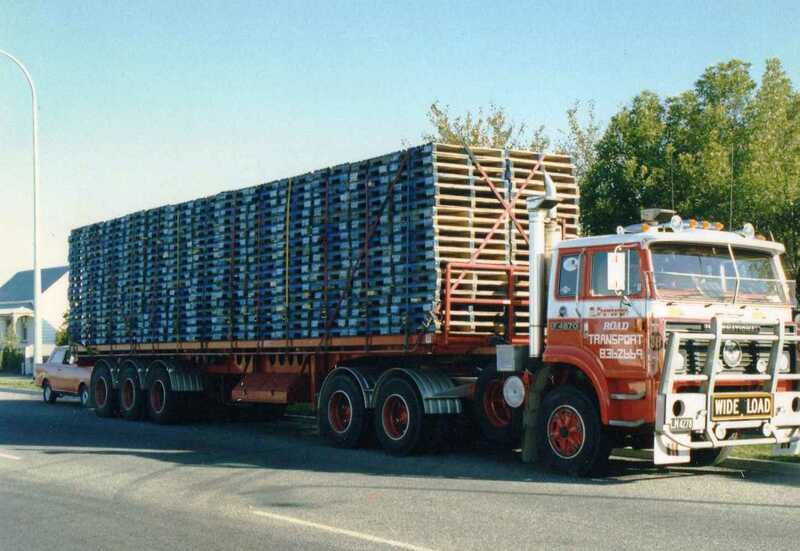 M.Chamberlain was the operator of this Australian model International F4870 loaded with new Chep pallets. 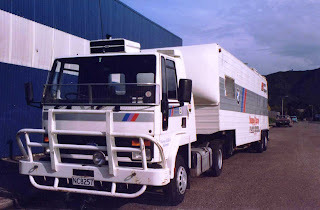 Note the HA Viva parked behind. 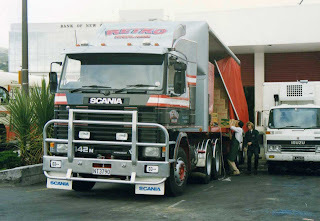 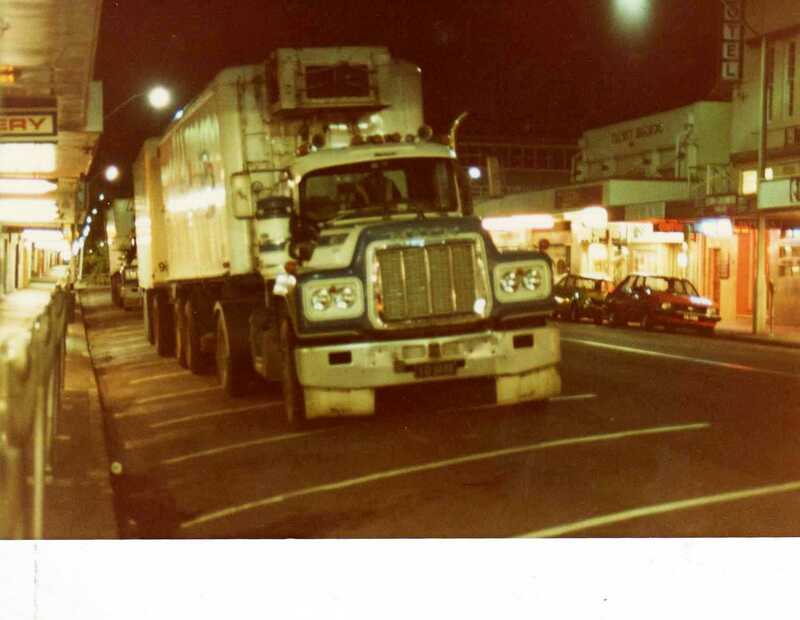 A 1988 Scania R142M being unloaded by hand at Foodtown Lower Hutt. 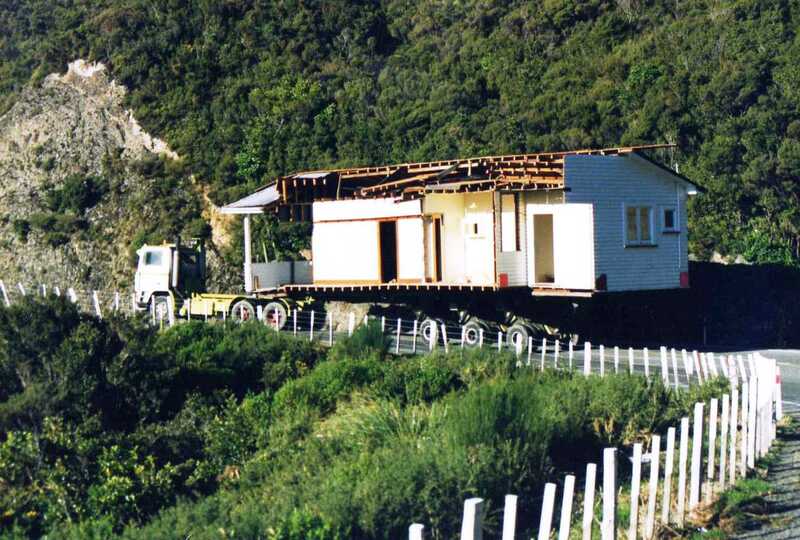 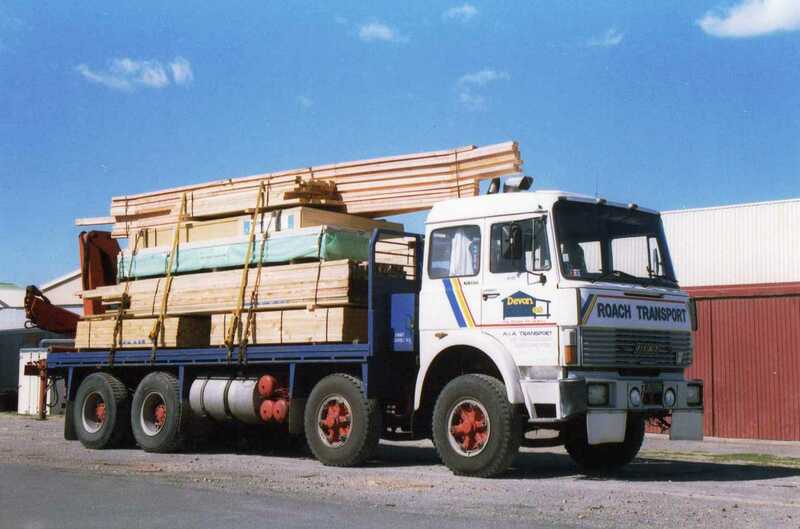 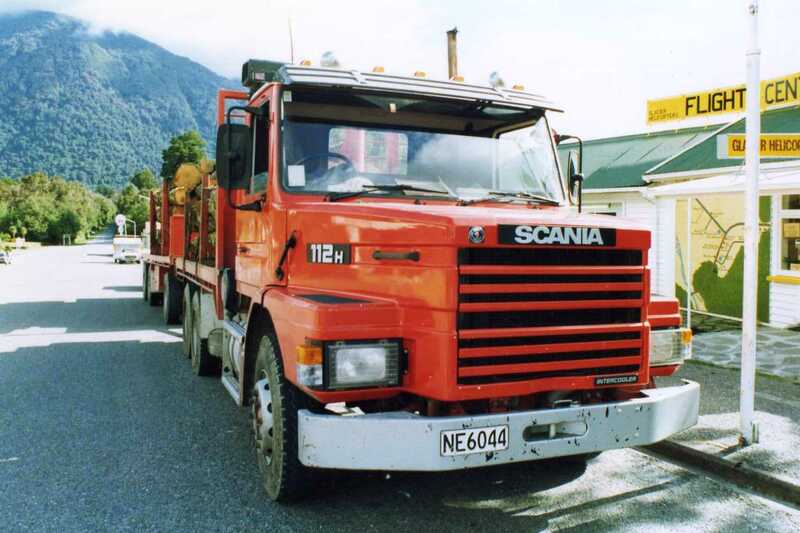 This 1987 Scania T112H (H denoting the heavy duty chassis) has a load of logs on flat decks at Fox Glacier. 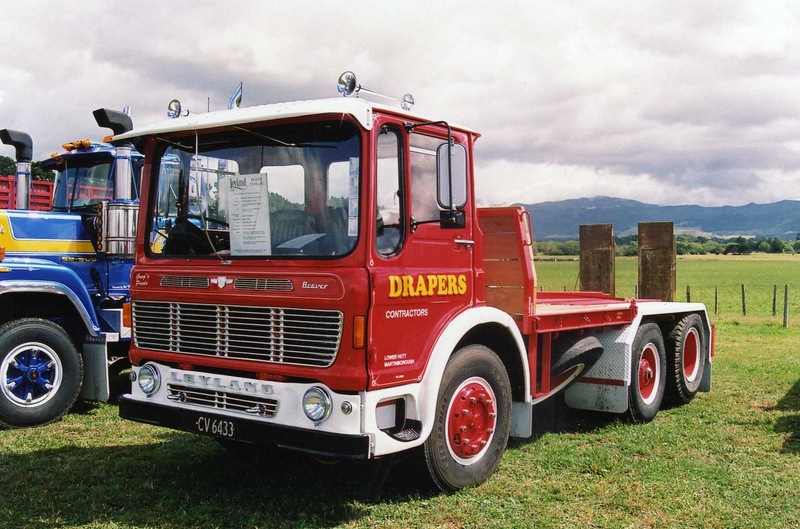 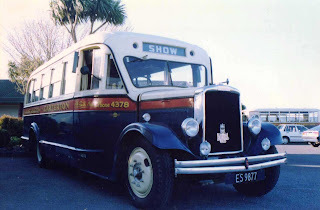 Riccarton Borough Electricity Supply operated this 1981 Bedford TL with Palfinger in the Christchurch area. 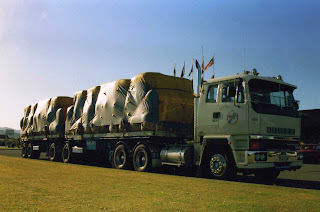 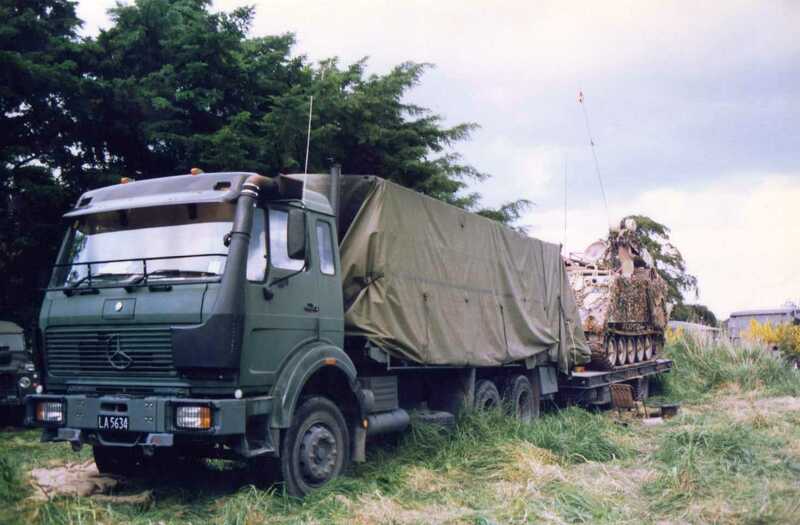 Although TK Bedfords were a very popular truck in NZ, TLs were quite rare as at this stage we had entered the Japanese truck era and General Motors dealers were supplying Isuzus with Bedford badging. 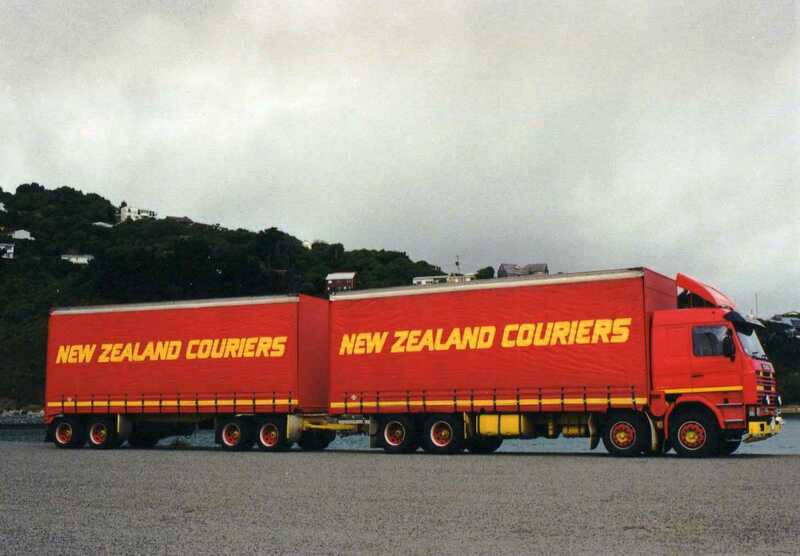 This Hall's refrigerated B-train is awaiting a ferry crossing to the North Island at the Picton terminal. 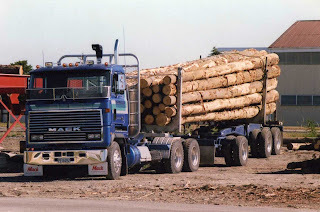 The truck is a 1987 International SF2370. 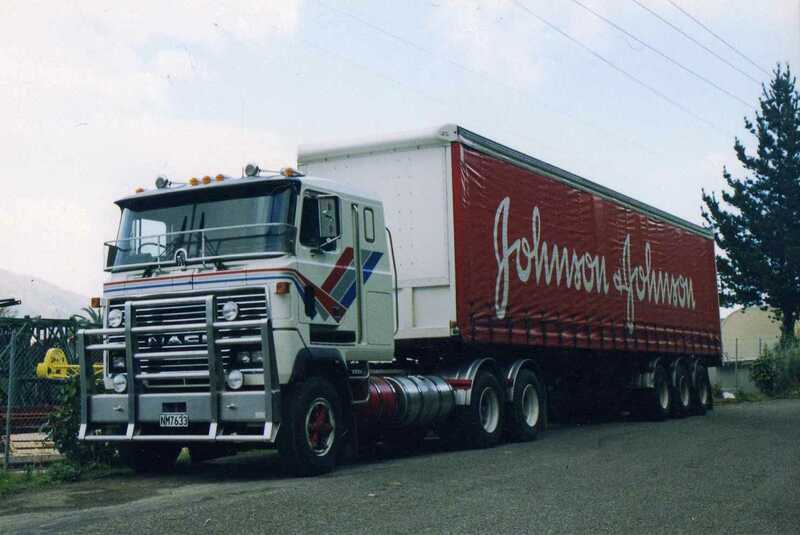 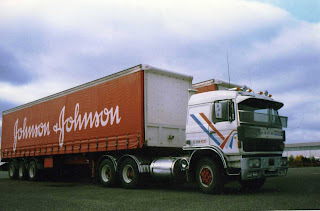 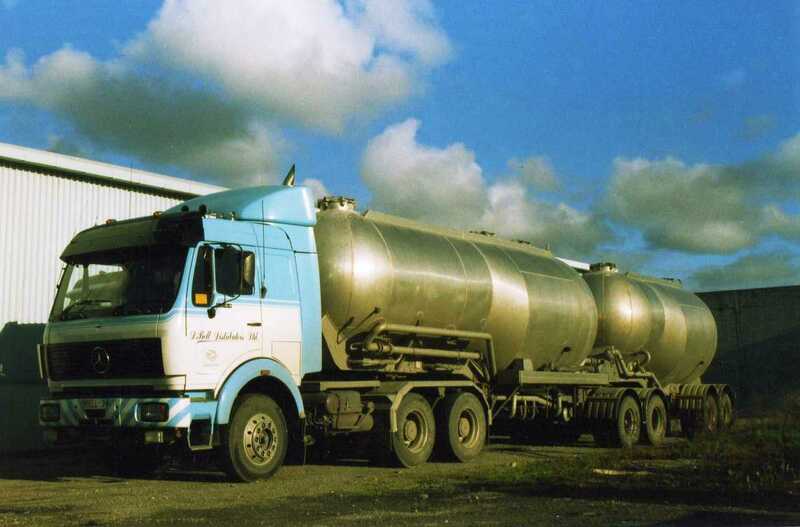 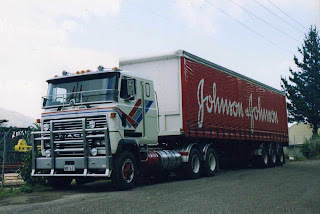 A 1986 Mack G290GT Midliner in the livery of Johnson & Johnson. 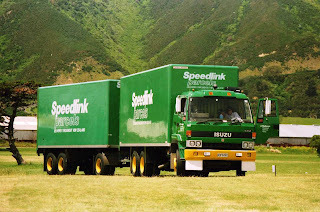 Speedlink Parcels was a division of New Zealand Railways. 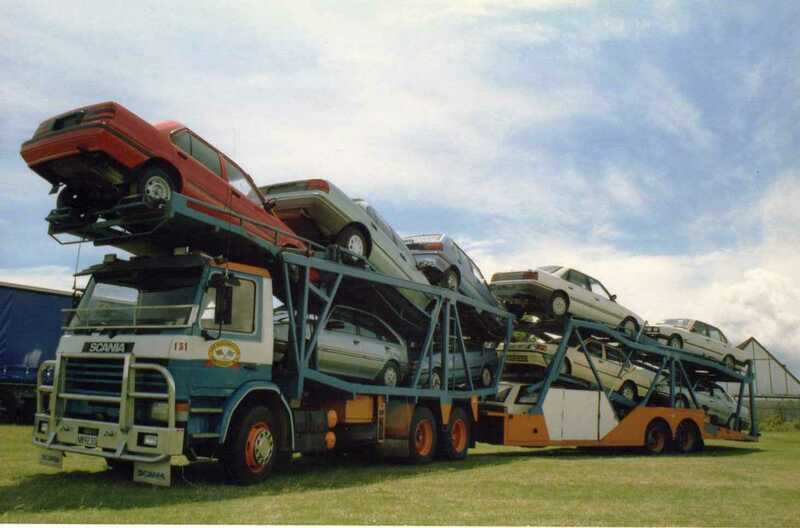 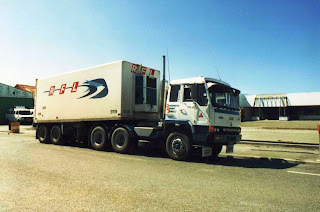 A 1988 Isuzu CXZ167TC snapped at a truck display at Hutt Park. 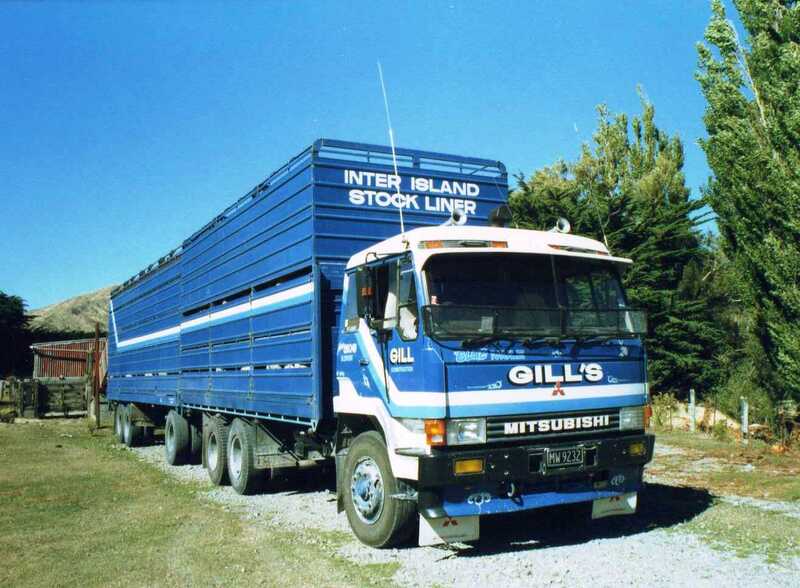 "The Homestead" at Ward (northern South Island) is the setting for this 1986 Mitsubishi 415PPR of Gill's, filling up with stock to go the slaughterhouse. 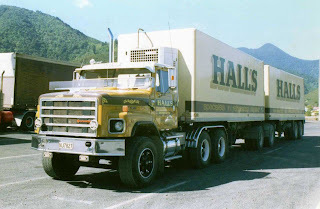 One of Don Bell's all Benz fleet. This one a 2244 parked in Palmerston North. 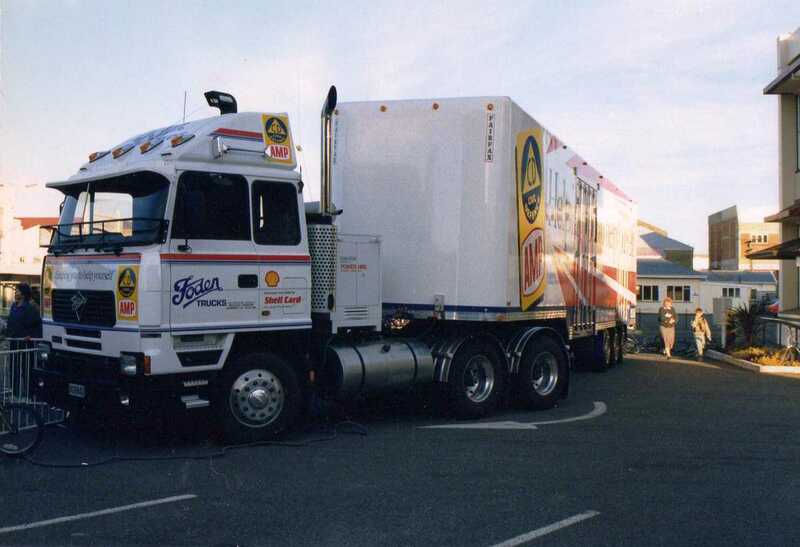 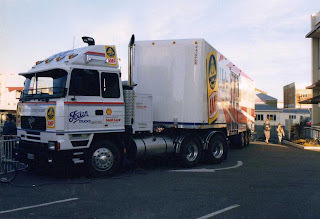 A Scania R143M of Rudd Transport at Masterton Motor Lodge. 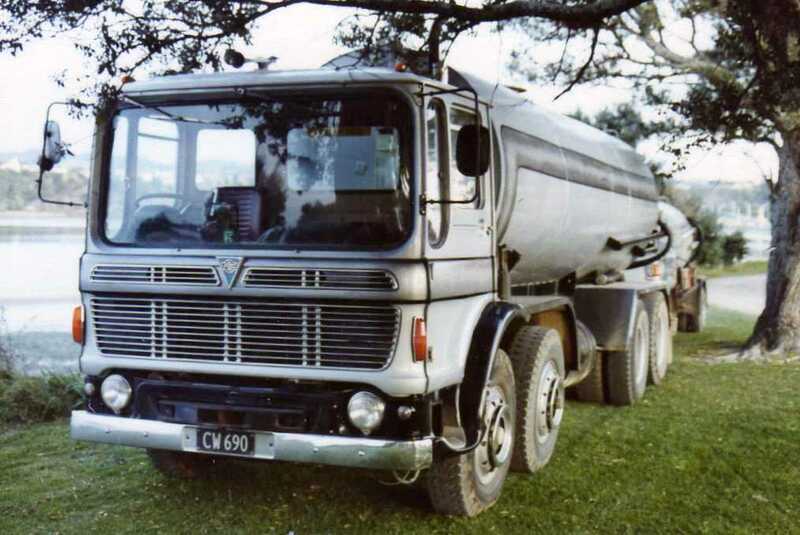 Another R142M. 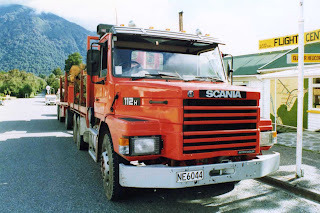 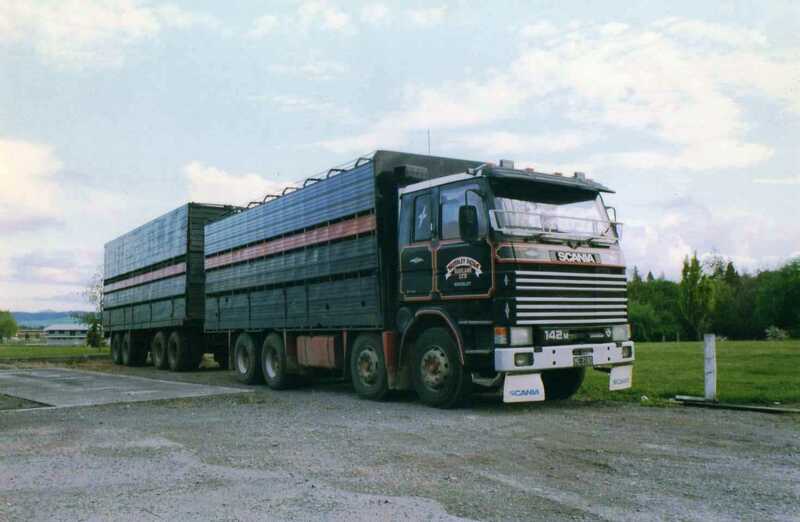 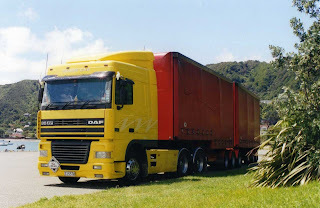 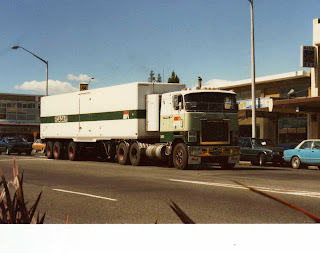 This one an 8 wheeler of 1986 vintage, operated by Waverley-Patea haulage in typical NZ stock truck configuration is parked at Faulknor"s Service Station in Masterton. 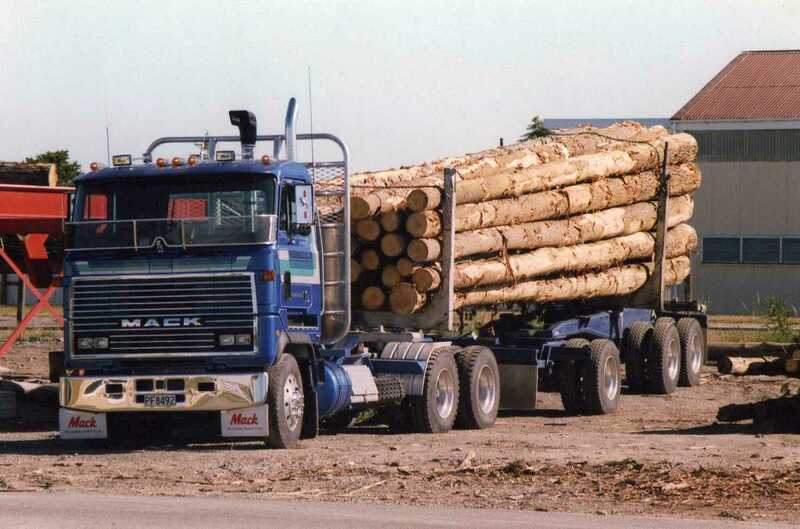 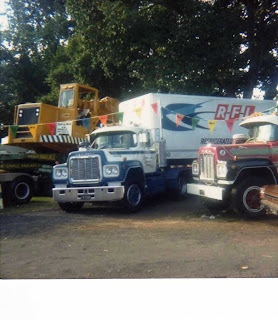 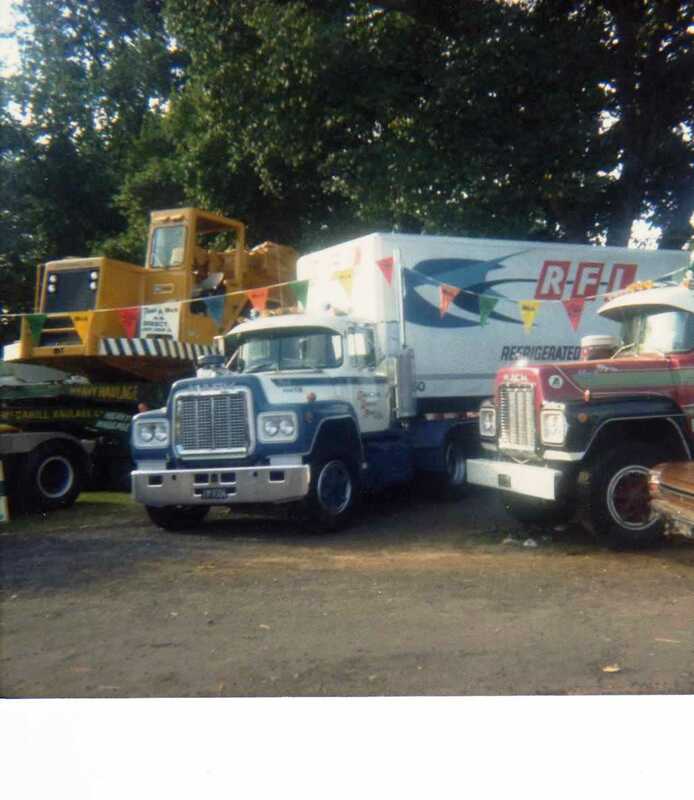 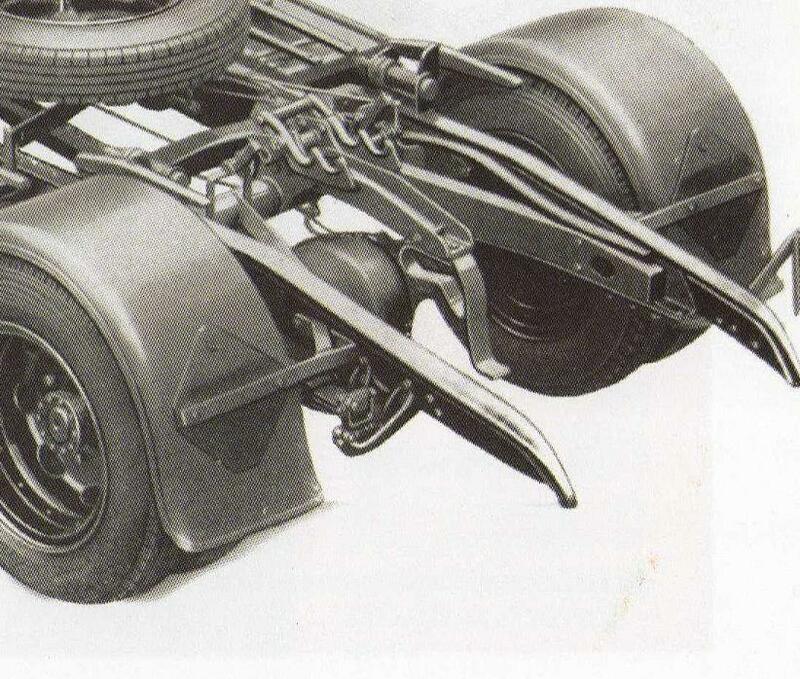 At one stage, Herb Renall's all Mack Ultra-liner fleet also included this logger. 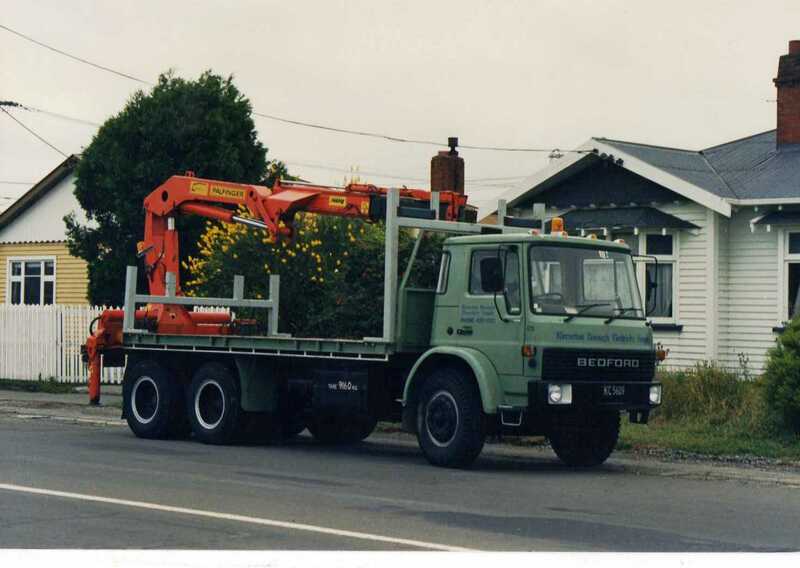 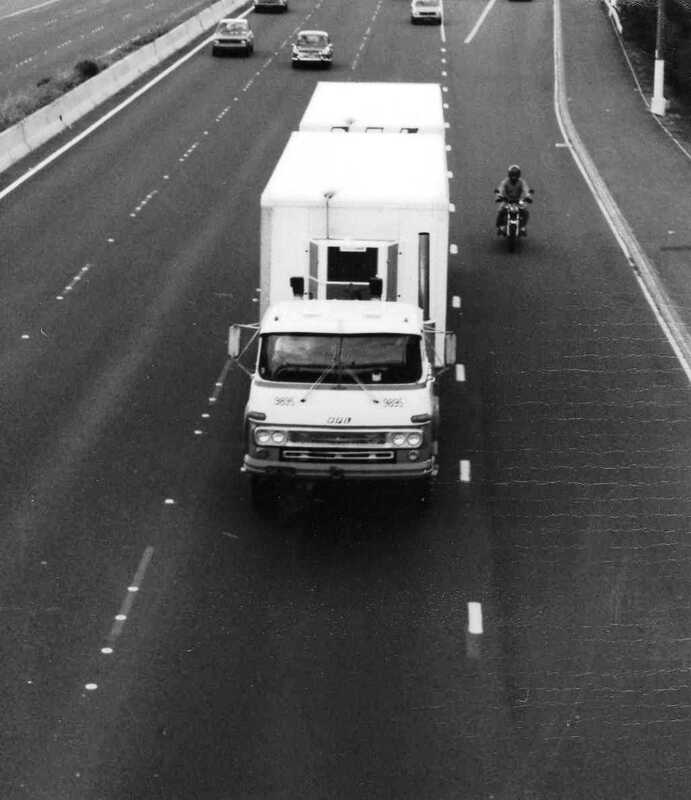 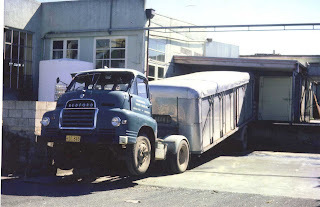 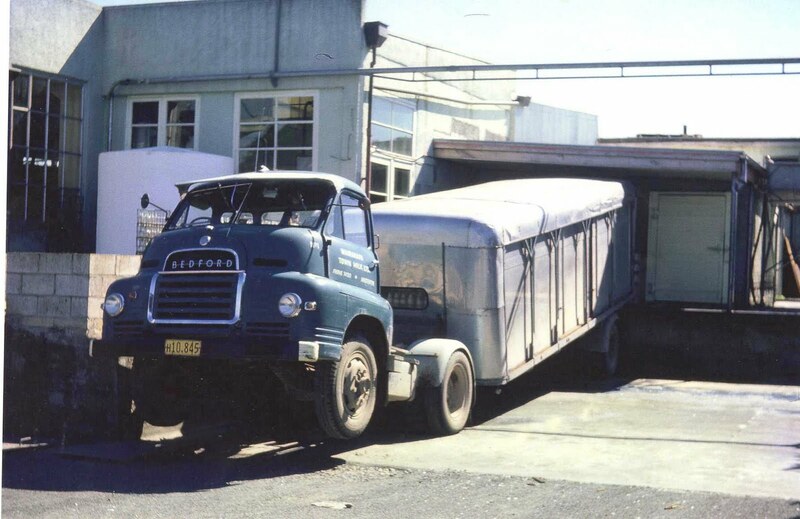 Seen here parked at his former Masterton depot in Ngaumutawa Road, where the Vehicle Testing Station is now located.